We help companies drive business results by attracting, growing and engaging their most vital asset... people. With few exceptions, all leaders agree: highly engaged employees outperform disengaged employees. Yet despite the research, the surveys and the focus on engagement, most senior teams report being frustrated at the lack of progress when it comes to building a culture of engagement. With the supply of talent getting smaller and roles getting bigger it’s crucial that current development practices identify and develop emerging and high potential leaders. These leaders have the potential to advance into higher level roles and take on challenging assignments. If your organization had “the secret sauce” that could predict the performance of candidates and current employees – would you use it? 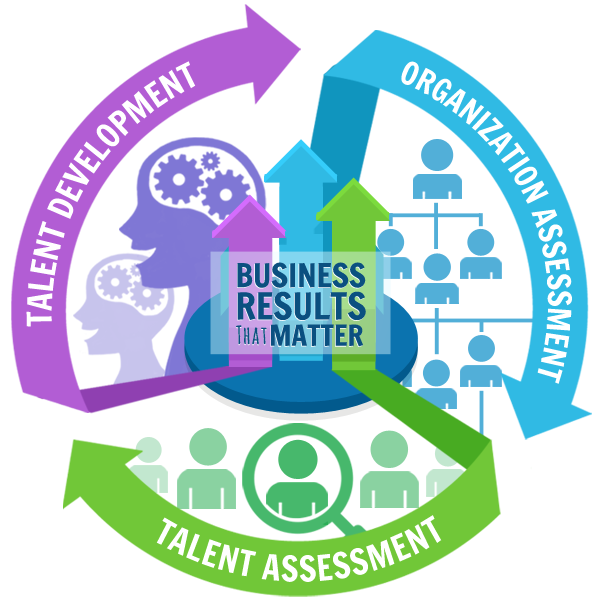 Talent assessments enable organizations to match candidates with jobs that fit their competencies, behaviors and connection skills, ensuring cultural "fit" with the organization. As a leader and innovator, PMP's signature Search practice has identified, assessed and ultimately, placed top C-Suite and management talent in leading organizations in every industry sector, including high impact not-for-profits. A best-in-class talent management firm. Performance Management Partners is a best-in-class talent management and human resource consulting firm that provides strategic insight and practical solutions to critical business challenges that directly impact the success of your organization. We assess, select, engage, coach and develop the right talent who can win in today’s competitive and changing marketplace. Becoming a first-time manager is one of the most challenging transitions a person will face in their career. Join PMP September 18-19th and learn how to Lead People.